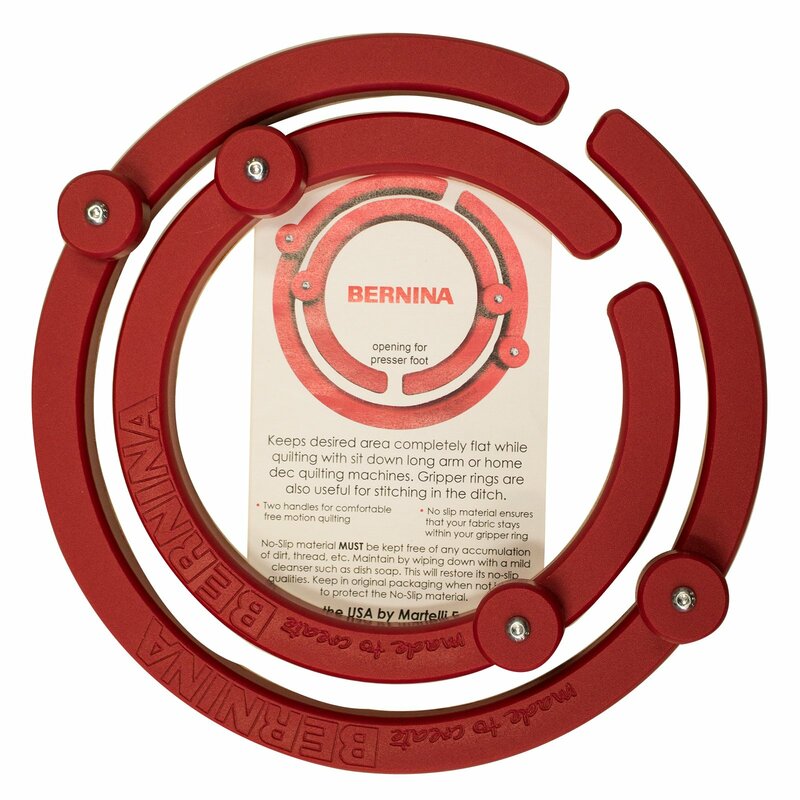 Home > Accessories > Embroidery > Bernina Embroidery Accessories > Bernina Embroidery Hoops > Bernina Gripper Rings Set of 2 8" and 11"
Bernina Gripper Rings Set of 2 8" and 11"
These Bernina branded set of gripper rings include one 8” and one 11” red ring. This new accessory option keeps the desired area completely flat while quilting with a sit down longarm sewing machine or a domestic sewing machine. Gripper rings are also useful for stitching in the ditch. The rings help keep the area you are working on flat and taught so you can relax your hands and focus on your quilting rather than how firm you have to hold your fabric.